Write a C program to count number of vowels and consonants in a string. 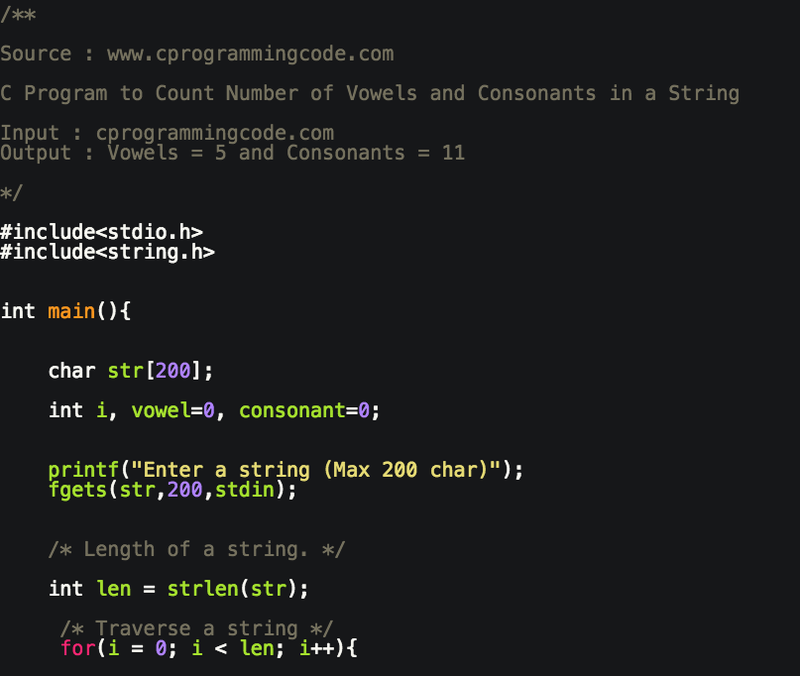 In this question, we have to write a code which takes an input string from a user and then print number of vowels and Consonants in a string. Before solving this problem let's understand what is vowel and consonant. What is Vowel and Consonants ? In english alphabet, A, E, I, O, U is called a vowel and remaining alphabets which is not a vowel is known as consonant. Thank you for the additional information you have added.